Guest post by Ben Dickson. This story originally appeared here. Almost three years ago, I wrote in my IoT blog the posts “Are you prepared to answer M2M/IoT security questions of your customers ?. and “There is no consensus how best to implement security in IoT” given the importance that Security has to fulfil the promise of the Internet of Things (IoT). And during this time I have been sharing my opinion about the key role of IoT Security with other international experts in articles “What is the danger of taking M2M communications to the Internet of Things?, and events (Cycon , IoT Global Innovation Forum 2016). I am honest when I say that I do not known how McKinsey gets calculate the total impact that IoT will have on the world economy in 2025, even on one of the specific sectors, and if they had taking into account the challenge of the Security, but it hardly matters: “The opportunities generated by IoT far outweigh the risks”. With increased IoT opportunity comes increased security risks and a flourishing IoT Security Market (According with Zion Research the IoT Security Market will growth to USD 464 million in 2020). We all know the negative impact that news about cyber-attacks has in the society and enterprises. In less than a decade and according to Data Source: ICS- CERT (US) have gone from 39 incidents in 2010 to 295 incidents in 2015. In a survey published by ATT, the company has logged a 458% increase in vulnerability scans of IoT devices in the last 2 years. It is a temptation for hackers to test their skills in connected objects, whether connected cars or smart homes appliances. But I'm afraid they will go far beyond attacking smart factories, or smart transportation infrastructure or smart grids. With the millions of unprotected devices out there, the multitude of IoT networks, IoT Platforms, and developers with lack of security I am one more that believes the biggest attack target yet is looming. With the Internet of Things, we should be prepared for new attacks and we must design new essential defences. The complex IoT Security Threat Map from Beecham Research provides an overlayed summary of the full set of threat and vulnerability analyses that is used to help clients shape their strategies. This Threat Map “summary” many of the top 5 features from each of those analyses. 5. the implementation and defences of edge device operating systems, chip integration and the associated Root of Trust. The project looks to define a structure for various IoT sub-projects such as Attack Surface Areas, Testing Guides and Top Vulnerabilities. Bellow the top IoT Vulnerabilities. Subex white paper presenting their IoT solution add some real examples of these vulnerabilities. Insecure Web Interface: To exploit this vulnerability, attacker uses weak credentials or captures plain text credentials to access web interface. The impact results in data loss, denial of service and can lead to complete device take over. An insecure web interface was exploited by hackers to compromise Asus routers in 2014 that were shipped with default admin user name and password. Insufficient Authentication/Authorization: Exploitation of this vulnerability involves attacker brute forcing weak passwords or poorly protected credentials to access a particular interface. The impact from this kind of attack is usually denial of service and can also lead to compromise of device. This vulnerability was exploited by ethical hackers to access head unit of Jeep Cherokee2 via WiFi-connectivity. The WiFi password for Jeep Cherokee unit is generated automatically based upon the time when car and head unit is started up. By guessing the time and using brute force techniques, the hackers were able to gain access to head unit. Insecure Network Services: Attacker uses vulnerable network services to attack the device itself or bounce attacks off the device. Attackers can then use the compromised devices to facilitate attacks on other devices. 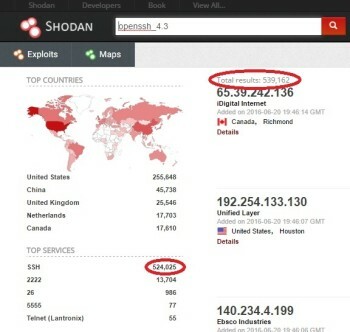 This vulnerability was exploited by hackers that used 900 CCTV cameras3 globally to DoS attack a cloud platform service. Lack of Transport Encryption: A lack of transport encryption allows 3rd parties to view data transmitted over the network. The impact of this kind of attack can lead to compromise of device or user accounts depending upon the data exposed. This weakness was exhibited by Toy Talk’s server domain which was susceptible to POODLE attack. Toy Talk helps Hello Barbie doll4 to talk to a child by uploading the words of a child to server and provide appropriate response after processing it. Though there was no reported hack on this, such a vulnerability could easily lead to one. Privacy Concerns: Hackers use different vectors to view and/or collect personal data which is not properly protected. The impact of this attack is collection of personal user data. This vulnerability was exemplified by the VTech hack5 wherein in hackers were able to steal personal data of parents as well as children using VTech’s tablet. With the IoT we are creating a very complicated supply chain with lots of stakeholders so it's not always clear 'who owns the problem'. By way of an example with a simple home application and not Super Installers around; if you buy a central heating system and controller which requires you to push a button to increase the temperature then if it stops working you contact the company who supplied it. But if you buy a central heating boiler from one company, a wireless temperature controller from another, download a mobile App from another and have a weather station from another supplier then whose job is it to make sure it's secure and reliable? The simple cop-out is to say 'the homeowner bought the bits and connected them together therefore it's their responsibility' – well I'm sorry but that isn't good enough! Manufacturers can't simply divest themselves of responsibility simply because the home owner bought several component parts from different retailers. As a manufacturer you have a responsibility to ensure that your product is secure and reliable when used in any of the possible scenarios and use cases which means that manufacturers need to work together to ensure interoperability – we all own the problem! This might come as a shock to some companies/industries but at some level even competitors have to work together to agree and implement architectures and connectivity that is secure and reliable. Standardization is a good example of this, if you look at the companies actively working together in ISO, ETSI, Bluetooth SIG etc. then they are often fierce competitors but they all recognize the need to work together to define common, secure and reliable platforms around which they can build interoperable products. If Cybersecurity is already top of mind for many organizations, is justified the alarm of lack of security in IoT? In this three last years of evangelization of IoT, it has been no event or article not collect questions or comments on IoT Security and Privacy. The good news is that according with the ATT State of IoT Security survey 2015, 85% of global organizations are considering exploring or implementing an IoT strategy but the bad news is that only 10% are fully confident that their connected devices are secure. And if we consider the report of Auth0, it scares me that only 10% of developers believe that most IoT devices on the market right now have the necessary security in place. In a publication from EY titled “Cybersecurity and the IoT”, the company define three Stages to classify the current status of organizations in the implementation of IoT Security. Organizations need to have a solid foundation of cybersecurity. This comprises a comprehensive set of information security measures, which will provide basic (but not good) defense against cyber-attacks. At this stage, organizations establish their fundamentals — i.e., they “activate” their cybersecurity. Organizations change — whether for survival or for growth. Threats also change. Therefore, the foundation of information security measures must adapt to keep pace and match the changing business requirements and dynamics otherwise they will become less and less effective over time. At this stage, organizations work to keep their cybersecurity up-to-date; i.e., they “adapt” to changing requirements. Organizations need to develop tactics to detect and detract potential cyber-attacks. They must know exactly what they need to protect their most valuable assets, and rehearse appropriate responses to likely attack/incident scenarios: this requires a mature cyber threat intelligence capability, a robust risk assessment methodology, an experienced incident response mechanism and an informed organization. At this stage, organizations are more confident about their ability to handle more predictable threats and unexpected attacks; i.e., they anticipate cyber-attacks. If you are thinking only in the benefits of IoT without consider the Security as a key component in your strategy you will probably regret very soon. Here below some recommendations either before start your IoT journey or if you are already started. Hope is not too late for wise advices. With the proliferation and variety of IoT Devices, IoT Networks, IoT Platforms, Clouds, and applications, during the next few years we will see new vulnerabilities and a variety of new attacks. The progress in the security technologies and processes that prevent them will be key for the adoption of IoT in enterprises and consumers. In the future Internet of Things world an end to end security approach to protect physical and digital assets. The ecosystems of this fragmented market must understand the need of Security by Design and avoid the temptation to reduce cost at the expense of the security. Do not stop asking for security when you buy a connected product or use an IoT Service, the temptation of time to market, competitive prices and the lack of resources must not be an excuse to offer secure IoT solutions to enterprises, consumers and citizens. As if the Internet of Things (IoT) was not complicated enough, the Marketing team at Cisco introduced its Fog Computing vision in January 2014, also known as Edge Computing for other more purist vendors. Given Cisco´s frantic activity in their Internet of Everything (IoE) marketing campaigns, it is not surprising that many bloggers have abused of shocking headlines around this subject taking advantage of the Hype of the IoT. I hope this post help you better understand what is the role of Fog Computing in the IoT Reference Model and how companies are using IoT Intelligent gateways in the Fog to connect the "Things" to the Cloud through some applications areas and examples of Fog Computing. As the Internet of Things proliferates, businesses face a growing need to analyze data from sources at the edge of a network, whether mobile phones, gateways, or IoT sensors. Cloud computing has a disadvantage: It can’t process data quickly enough for modern business applications. However, despite its power, the cloud model is not applicable to environments where operations are time-critical or internet connectivity is poor. This is especially true in scenarios such as telemedicine and patient care, where milliseconds can have fatal consequences. The same can be said about vehicle to vehicle communications, where the prevention of collisions and accidents can’t afford the latency caused by the roundtrip to the cloud server. The variety of IoT systems and the need for flexible solutions that respond to real-time events quickly make Fog Computing a compelling option. 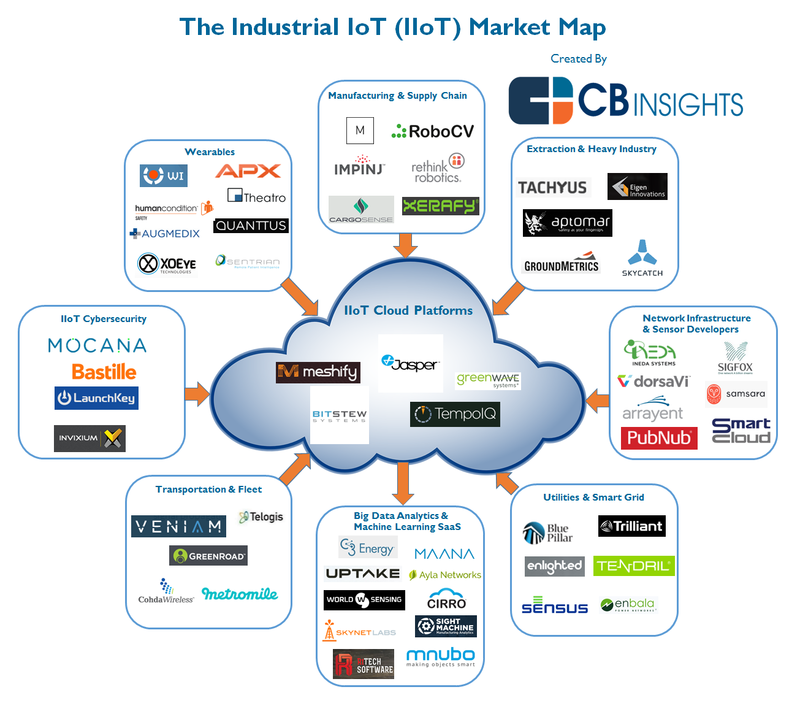 The Fog Computing, Oh my good another layer in IoT! The Fog Computing or Edge Computing is a paradigm championed by some of the biggest IoT technology players, including Cisco, IBM, and Dell and represents a shift in architecture in which intelligence is pushed from the cloud to the edge, localizing certain kinds of analysis and decision-making. Fog Computing enables quicker response times, unencumbered by network latency, as well as reduced traffic, selectively relaying the appropriate data to the cloud. The concept of Fog Computing attempts to transcend some of these physical limitations. With Fog Computing processing happens on nodes physically closer to where the data is originally collected instead of sending vast amounts of IoT data to the cloud. The OpenFog Consortium, was founded on the premise based on open architectures and standards that are essential for the success of a ubiquitous Fog Computing ecosystem. The collaboration among tech giants such as ARM, Cisco, Dell, GE, Intel, Microsoft and Schneider Electric defining an Open, Interoperable Fog Computing Architecture is without any doubt good news for a vibrant supplier ecosystem. The OpenFog Reference Architecture is an architectural evolution from traditional closed systems and the burgeoning cloud-only models to an approach that emphasizes computation nearest the edge of the network when dictated by business concerns or critical application the functional requirements of the system. The OpenFog Reference Architecture consists of putting micro data centers or even small, purpose-built high-performance data analytics machines in remote offices and locations in order to gain real-time insights from the data collected, or to promote data thinning at the edge, by dramatically reducing the amount of data that needs to be transmitted to a central data center. Without having to move unnecessary data to a central data center, analytics at the edge can simplify and drastically speed analysis while also cutting costs. · Frees up network capacity - Fog computing uses much less bandwidth, which means it doesn't cause bottlenecks and other similar occupancies. Less data movement on the network frees up network capacity, which then can be used for other things. · It is truly real-time - Fog computing has much higher expedience than any other cloud computing architecture we know today. Since all data analysis are being done at the spot it represents a true real time concept, which means it is a perfect match for the needs of Internet of Things concept. · Boosts data security - Collected data is more secure when it doesn't travel. Also makes data storing much simpler, because it stays in its country of origin. Sending data abroad might violate certain laws. · Some companies don't like their data being out of their premises- with Fog Computing lots of data is stored on the devices themselves (which are often located outside of company offices), this is perceived as a risk by part of developers' community. · Whole system sounds a little bit confusing- Concept that includes huge number of devices that store, analyze and send their own data, located all around the world sounds utterly confusing. The applications of fog computing are many, and it is powering crucial parts of IoT ecosystems, especially in industrial environments. See below some use cases and examples. Thanks to the power of fog computing, New York-based renewable energy company Envision has been able to obtain a 15 percent productivity improvement from the vast network of wind turbines it operates. The company is processing as much as 20 terabytes of data at a time, generated by 3 million sensors installed on the 20,000 turbines it manages. Moving computation to the edge has enabled Envision to cut down data analysis time from 10 minutes to mere seconds, providing them with actionable insights and significant business benefits. Plat One is another firm using fog computing to improve data processing for the more than 1 million sensors it manages. The company uses the Cisco-ParStream platform to publish real-time sensor measurements for hundreds of thousands of devices, including smart lighting and parking, port and transportation management and a network of 50,000 coffee machines. In Palo Alto, California, a $3 million project will enable traffic lights to integrate with connected vehicles, hopefully creating a future in which people won’t be waiting in their cars at empty intersections for no reason. Janakiram MSV wondered if Fog Computing will be the Next Big Thing In Internet of Things? . It seems obvious that while cloud is a perfect match for the Internet of Things, we have other scenarios and IoT solutions that demand low-latency ingestion and immediate processing of data where Fog Computing is the answer. In essence, Fog Computing allows for big data to be processed locally, or at least in closer proximity to the systems that rely on it. Newer machines could incorporate more powerful microprocessors, and interact more fluidly with other machines on the edge of the network. While fog isn’t a replacement for cloud architecture, it is a necessary step forward that will facilitate the advancement of IoT, as more industries and businesses adopt emerging technologies. Fog computing is far from a panacea. One of the immediate costs associated with this method pertains to equipping end devices with the necessary hardware to perform calculations remotely and independent of centralized data centers. Some vendors, however, are in the process of perfecting technologies for that purpose. The tradeoff is that by investing in such solutions immediately, organizations will avoid frequently updating their infrastructure and networks to deal with ever increasing data amounts as the IoT expands. There are certain data types and use cases that actually benefit from centralized models. Data that carries the utmost security concerns, for example, will require the secure advantages of a centralized approach or one that continues to rely solely on physical infrastructure. Though the benefits of Fog Computing are undeniable, the Cloud has a secure future in IoT for most companies with less time-sensitive computing needs and for analysing all the data gathered by IoT sensors. The IoT has a big security problem. We've discussed it here, here and here. Adding to these woes is a new report on the Top 10 Internet of Radios Vulnerabilities. Yes, radios...because IoT so much more than data, networking, software, analytics devices, platforms, etc. When you're not hardwired, radio is the only thing keeping you connected. The findings come from Bastille who, like many vendors, has a clear commercial, self-serving interest in the findings, but nonetheless, the study is interesting given the fact that the largest DDoS attack ever was executed using "dumb" connected devices. Bastille defines the Internet of Radios as the combination of mobile, wireless, bring your own device (BYOD), and Internet of Things (IoT) devices operating within the radio frequency (RF) spectrum. 78% of respondents believe the threat from the Internet of Radios will increase in the next 12 months. 50% of respondents believe IoT devices are already impacting security. 51% of respondents say their companies have adopted a BYOD policy, but only 24% say the policy is strictly enforced. 42% of respondents say their organization has not implemented a BYOD policy at all. 47% of respondents say their organization is not currently using a Mobile Device Management (MDM) system, compared to 41% that already have one in place. Over on MotherBoard, noted cryptographer, computer security and privacy specialist, and writer, Bruce Schneier pens his thoughts on the recent gaping holes in security for Internet connected devices. When Bruce speaks, people listen. First, if you haven't been following the recent DDoS attacks using IoT devices, read this. In short, IoT devices have been comprised to attack networks. It's so bad that Bruce is calling out the IoT market for failing to secure their devices and machines that connect to the Internet and is asking for government intervention. What this attack demonstrates is that the economics of the IoT mean that it will remain insecure unless government steps in to fix the problem. This is a market failure that can't get fixed on its own. He continues that security has been built into many our computers and smartphones because there is money to invest in security, the same can't be said for low margin embedded systems like digital video recorders or home routers. Security is not their expertise. Even worse, he adds, most of these devices don't have any way to be patched. He argues the market can't fix this because neither the buyer nor the seller cares. Government must step in and solve the problem says, Schneier. Full article on Motherboard here. Big Data and Law Enforcement – a Marriage Made in H_______! Summary: Deep learning and Big Data are being adopted in law enforcement and criminal justice at an unprecedented rate. Does this scare you or make you feel safe? When you read the title, whether your mind immediately went for the upstairs “H” or the downstairs “H” probably says something about whether the new applications of Big Data in law enforcement let you sleep like a baby or keep you up at night. You might have thought your choice of “H” related to whether you’ve been on the receiving end of Big Data in law enforcement but the fact is that practically all of us have, and for those who haven’t it won’t take much longer to reach you. There is an absolute explosion in the use of Big Data and predictive analytics in our legal system today driven by the latest innovations in data science and by some obvious applications. It hasn’t always been so. In the middle 90s I was part of the first wave trying to convince law enforcement to adopt what was then cutting edge data science. At the time that was mostly GIS analysis combined with predictive analytics to create what we called predictive policing. That is predicting where and at what time of day crime of each type was most likely to occur so that manpower could be effectively allocated. Seems so quaint now. It was actually quite successful but the public sector had never been quick to adapt to new technology so there weren’t many takers. That trend about slow adoption has changed. So while accelerating the usage of advanced analytics to keep the peace may keep some civil libertarians up at night, it’s coming faster than ever, and it’s our most advanced techniques in deep learning that are driving it. By now you’ve probably figured out the deep learning is best used for three things: image recognition, speech recognition, and text processing. Here are two stories illustrating how this is impacting law enforcement. The article by this title appeared in the July 20 WSJ. Given what’s been happening recently both internationally and at home most of us probably applaud the use of text analytics to monitor for early warning signs of home grown miscreants. The article states “In the past two weeks at least eight people have been arrested by state and federal authorities for threats against police posted on social media”. It remains to be seen if these will turn into criminal prosecutions and how this will play out against 1st Amendment rights but as a society we seem to be OK for trading a little of one for more of the other. It’s always in the back of our minds whether this is Facebook, Twitter, Apple, Google and the others actively cooperating in undisclosed programs to aid the police, but this article specifically calls out the fact that the police were the ones doing the monitoring. Whether they’ve built these capabilities in-house or are using contractors isn’t clear. What is clear is that advanced text analytics and deep learning were the data science elements behind it. The second example comes from an article in Business Week’s July 18 issue, “Will a Camera on Every Cop Help Save Lives or Just Make a Tech Company Richer”. Taser – a tech company? When I think about Taser, the maker of the ubiquitous electric stun gun, I am much more likely to associate them with Smith & Wesson than with Silicon Valley and apparently I couldn’t be more wrong. In short the story goes like this. In the 90s Taser dominated the market for non-lethal police weapons to provide better alternatives for a wide variety of incidents where bullets should not be the answer. By the 2000s Taser had successfully saturated that market and its next big opportunity came from the unfortunate Ferguson Mo. unrest. That opportunity turned out to be wearable cameras. Although the wearable police cameras date back to about 2008 there really hadn’t been much demand until the public outcry for transparency in policing became overwhelming. Taser now also dominates the wearable camera market. Like its namesake stun gun however, sales of Tasers or wearable cameras are basically a one-and-done market. Once saturated, it offers only replacement sales, not a robust model for corporate expansion. So far this sounds more like a story about a hardware company than a data science tech company and here’s the transition. The cameras are producing huge volumes of video images that need to be preserved at the highest levels of chain-of-evidence security for use in criminal justice proceedings. Taser bought a startup in the photo sharing space and adapted it to their new flagship product Evidence.com, a subscription based software platform now positioned as a ‘secure cloud-based solution’. According the BW article, “4.6 Petabytes of video have been uploaded to the platform, an amount comparable to Netflix’s entire streaming catalogue”. Taser is a major customer of MS Azure. And for police departments that have adopted, video is now reported to be presented as evidence in 20% to 25% of cases. But this story is not just about storing recorded video. It is about how police and prosecutors have become overwhelmed with the sheer volume of ‘video data’ and the need to simplify and speed access. The answer is image recognition driven by deep learning. Taser now earns more than ¾ ths of its revenue from its Evidence.com platform and is rapidly transforming from hardware to app to data science company to answer the need for easier, faster, more accurate identification of relevant images. You already know about real-time license plate scanners mounted on patrol cars that are able to automatically photograph license plates without operator involvement, transmit the scan to a central database, and return information in real time about wants and warrants associated with that vehicle. What Taser and law enforcement say is quite close is a similar application using full time video from police-wearable cameras combined with facial recognition. Once again those civil liberties questions will have to be answered but there’s no question that this application of data science will make policing more effective. About those huge volumes of videos and the need to recognize faces and images. There are plenty of startups that will benefit from this and many with products already in commercial introduction. Here’s a sampling. Take a look at Nervve Technologies whose byline is “Visual search insanely fast”. Using their visual search technology originally developed for government spy agencies they are analyzing hours of sporting event tape in a few seconds to identify the number of times a sponsor’s logo (on uniforms or on billboards) actually appears in order to value the exposure for advertising. And beyond simple facial recognition is an emerging field called facial or emotional analytics. That’s right, from video these companies have developed deep learning models that predict how you are feeling or reacting. Stoneware incorporates image processing and emotional analytics in its classroom management products to judge the attentiveness of each student in a classroom. Emotient and Affectiva have similar products in use by major CPG companies to evaluate audience response to advertisements, and to study how NBA spectators respond to activities such as a dance cam. Real time facial-emotional scanning of crowds to find individuals most likely to commit misdeeds can’t be far away. For audio, Beyond Verbal has a database of 1.5 million voices used to analyze vocal intonations to identify more than 300 mood variants in more than 40 languages with a claim of 80% accuracy. All of these are deep learning based data science being put rapidly to work in our law enforcement and criminal justice systems. And that is why you’re left with no other option than to pay the ransom. That’s why even theFBI recommends to pay the ransom. The Internet of Things has progressed rapidly in the last decade, providing numerous benefits for consumers, industries, and even government organizations. As a consumer, it can be difficult to break through the noise to see the most important benefits of IoT, especially when the spotlight is often focused on entertainment and convenience services. One benefit of IoT that is sometimes underrepresented, is the ability for new technologies to increase the efficiency and reduce costs of utility services. Data from the Open & Agile Smart Cities initiative in Europe estimates that gross savings in a moderately sized smart city could be as much as 15% for water, 25% for waste management, and 50% for electrical lighting. Although these estimates might seem generous, they do reflect the optimism of other developed markets. As an example, data from the New Jersey Institute of Technology suggests that smart energy sensors could save the United States up to $1.2 billion dollars per year in the largest cities. The figures are exciting, but how exactly do they directly impact consumers? To answer this, we can look at how smart water sensors have benefitted residents in the city of Dubuque in Iowa, U.S. In 2009, the city developed programs to introduce IoT connected sensors to consumer utility lines. Rather than traditional metering systems, residents and businesses were connected to smart meters that could automatically report data back to utility providers, allowing for real time usage monitoring and reporting. With the new meters, residents were better able to monitor their real time water usage and costs, which allowed for a 7% reduction in total water usage. The same system allowed for speedy detection of water leaks and flow problems, which were proactively monitored by the utility company. Because consumers had immediate access to their usage statistics, they could also identify leaks, faucets, or appliances in their homes that could be contributing to water waste. Considered a huge success, a similar system was adopted in the Australian city of Townsville, with similar positive results. Considering this example of how IoT sensors have benefitted water utilities, it becomes easy to see how comparable systems could benefit electric and gas utilities. The savings aren’t just found from reducing usage and detecting leaks or faults, but also by reducing the cost of actually monitoring utility usage. Machine generated data can be interpreted by computers, eliminating the need for manual data interpretation. Meter reading at the service termination point also becomes unnecessary. Using smart meters connected to the Internet of Things is clearly the future of utility metering, but there are still benefits beyond what has been discussed. With a smart city that proactively collects and interprets data, there are possibilities to improve utility infrastructure, identify trends, and plan utilities for new developments based on existing data. Overall, the potential cost savings and benefits will far outweigh any investment that is made to modernize existing utility networks. Any city of significant size should be able to clearly measure the benefits of IoT, and the adoption rate of new technologies will serve the interests of both service providers, and the end of line consumers. What’s on the Horizon for IoT and CCTV? Smart devices are transforming the world that we live in, but is change always positive? 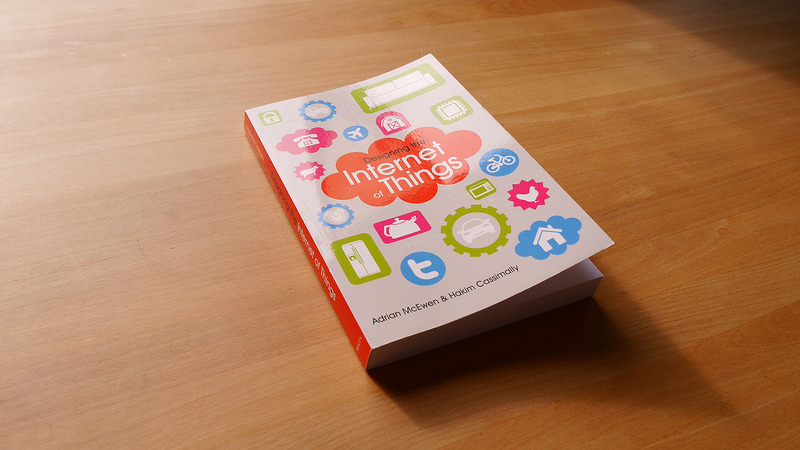 When it comes to the internet of things (IoT), there are two strongly opposing viewpoints. 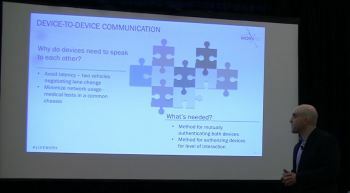 Some see connected devices as a natural evolution of technology and the internet, with far reaching benefits for consumers, industry, and general business. There is also another viewpoint that sees IoT as too risky, too pervasive, and frighteningly unregulated. The truth may be somewhere in the middle, although both viewpoints raise valid concerns and benefits. If designed and implemented correctly, IoT can increase efficiency, reduce cost, improve safety, and deliver convenience. However, without necessary attention to security and good judgement, IoT technologies can compromise privacy and sensitive data. When considering both viewpoints, it can help to look at a single technology group, such as CCTV cameras with internet connectivity. CCTV cameras and IoT can provide clear benefits over older systems. They can backup footage to local or cloud connected storage, which can then be made available for any user with internet access to the system. An embedded chip could also allow for live streaming so that monitoring can be performed off-site, without the need for wired infrastructure. This can reduce costs and improve convenience, while also shattering the old notion that monitoring requires a dedicated video room, staffed by full time employees. Smart cameras can even be configured to record and notify an elected group or individual when movement is detected. This essentially combines the functions of a video monitoring system and an intruder alarm, in a single technology. With benefits like these, it’s easy to see why businesses and home users would be interested in a networked CCTV system, but when the risks are considered, connected cameras may become less appealing. What are the Dangers of Current and Future Devices? A CCTV system that is connected to the internet can theoretically be breached by any party, from anywhere in the world where there is internet access. Unauthorized access can mean that cameras could be disabled or hijacked to steal footage, potentially leaking sensitive trade or manufacturing information. In the case of domestic cameras, unauthorized access can open up the home to prying eyes. Not only can privacy be invaded, but criminals could potentially use cameras to track people’s movements and schedules to plan burglaries, home invasions, or other crimes. What looks on paper to be a robust and futuristic security system, could just as easily be made to serve malicious parties, so what is the solution? Like with most IoT devices, security will be the all-important layer that determines whether the benefits can be enjoyed without compromising privacy or increasing the risk of data theft. In commercial business and industry, there are typically more resources available to ensure that networks and devices are secured. Data transfer can be encrypted, and wireless and wired networks can be made safe through enterprise level firewalls and other safeguards. In the home, security is less likely to be effectively managed. Many home CCTV users may be ignorant to the needs of security, and may even be unaware of whether their home network and devices are secured. This presents a significant challenge which should be addressed in two ways. Manufacturers and innovators have a responsibility to develop IoT systems that are secure by design, with safeguards in place to ensure that even user error cannot compromise the security of a system. At the same time, there needs to be a push to educate consumers (private and business) on the importance of security and the risks of poorly protected IoT devices like CCTV cameras. Government bodies can potentially strengthen security implementations and awareness through regulation and legislation. With analysts expecting up to 50 billion embedded chip devices to be in use by 2020, it is essential that security and education challenges are met, so that IoT can reach its full potential without compromising the safety and security of organizations and users around the world. Internet Of Things (IOT) - A Privacy concern? Real time diagnostic like heart rate, pulse, Temp or SO2 Levels. How this is done is not what I am focusing around, once it is implemented and if it’s done with integration of all your devices / networks which work as entry point e.g. your mobile, GPS you use etc. What will be level of privacy remains in a complete IoT world? All devices are in connection and all are talking to each other with some kind of BIG data tool and Analytics working together. What will happen? You are running out of fresh milk in your fridge and now smart fridge will send an order to your grosser for replenishment of the same. You have a Smart watch or a fitness device which help your Coach to monitor your activity and hear rate and other vitals, helping him or her to identify the best fit regime for you. E.G. I want fries, Person at POS will say “Sorry Sir can’t, as your doctor has instructed that no high salt/ deep fried items for you, so please pick other item from menu” and then again you go for selecting other things. Now imagine how much your privacy is at risk, for a total stranger knowing about your health. Another Scenario of some card company calling you saying you are using at X POS service use of Y gives more incentive for shopping. Do I really want world to know about it, may be not directly but through different ways.This is just one/two example however there can be many other one can think off. Questions remains is IoT good and i will say definitely it is as per my view its adaptability will give far more benefits than risk caused. However level of integration will tell how much personal the use can be called invasion of privacy and how much is actually required. 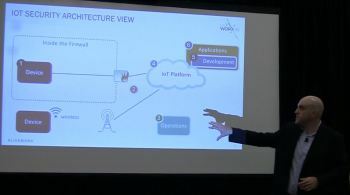 Note till the time I was writing this post there was no Single protocol that connect different devices and make it part of Global or Actual Term IOT, which I know of; hence integration can take long time. Application lifecycle management (ALM): Although not specific to security, these tools cover requirements analysis, design, coding, testing and integration, configuration management, and many other aspects of software development. However, with a security-first embedded development approach, these tools can help automate security engineering as well. For example, requirements analysis tools (in conjunction with vulnerability management tools) can ensure that security requirements and known vulnerabilities are tracked throughout the lifecycle. Design automation tools can incorporate secure design patterns and then generate code that avoids known security flaws (e.g. avoiding buffer overflows or checking input data for errors). Configuration management tools can insist on code inspection or static analysis reports before checking in code. Test automation tools can be used to test for "abuse" cases against the system. In general, there is a role for ALM tools in the secure development just as there is for the entire project. Static Application Security Testing (SAST): Static analysis tools work by analyzing source code, bytecode (e,g, compiled Java), and binary executable code. No code is executed in static analysis, but rather the analysis is done by reasoning about the potential behavior of the code. Static analysis is relatively efficient at analyzing a codebase compared to dynamic tools. Static analysis tools also analyze code paths that are untested by other methods and can trace execution and data paths through the code. Static analysis can be incorporated early during the development phase for analyzing existing, legacy, and third-party source and binaries before incorporating them into your product. As new source is added, incremental analysis can be used in conjunction with configuration management to ensure quality and security throughout. Figure 1: The application of various tool classes in the context of the software development lifecycle. Tainted data detection and analysis: Analysis of the data flows from sources (i.e. interfaces) to sinks (where data gets used in a program) is critical in detecting potential vulnerabilities from tainted data. Any input, whether from a user interface or network connection, if used unchecked, is a potential security vulnerability. Many attacks are mounted by feeding specially-crafted data into inputs, designed to subvert the behavior of the target system. Unless data is verified to be acceptable both in length and content, it can be used to trigger error conditions or worse. 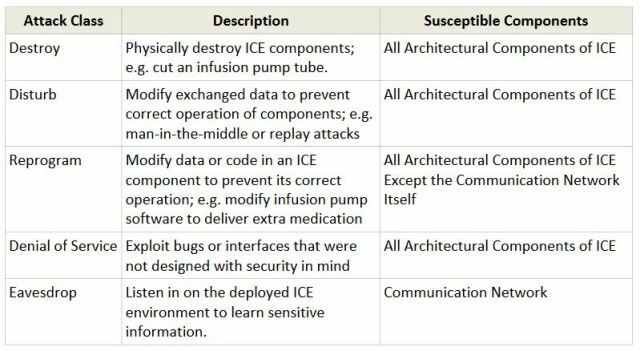 Code injection and data leakage are possible outcomes of these attacks, which can have serious consequences. Secure coding standard enforcement: Static analysis tools analyze source syntax and can be used to enforce coding standards. Various code security guidelines are available such as SEI CERT C  and Microsoft's Secure Coding Guidelines . Coding standards are good practice because they prevent risky code from becoming future vulnerabilities. As mentioned above, integrating these checks into the build and configuration management system improves the quality and security of code in the product. Machine to machine and IoT device manufacturers incorporating a security-first design philosophy with formal threat assessments, leveraging automated tools, produce devices better secured against the accelerating threats on the Internet. Modifying an existing successful software development process that includes security at the early stages of product development is key. Smart use of automated tools to develop new code and analyze existing and third party code allows development teams to meet strict budget and schedule constraints. Static analysis of both source and binaries plays a key role in a security-first development toolset. A recent DDoS attack staged against a brick-and-mortar jewelry store highlights just how devastating the negligence of IoT security can become. The attack, as reported by SC Magazine, involved a 35,000 HTTP request per second flood carried out by an IoT botnetof more than 25,000 compromised CCTV cameras scattered across the entire globe, causing the shop’s servers to go down. While the rise in DDoS attacks based on IoT botnets is new, it wasn’t unexpected. In fact, after 2015 became the year of proof-of-concept attacks against the Internet of Things, it had been predicted that IoT devices would become a very attractive target for bot herdersin 2016. 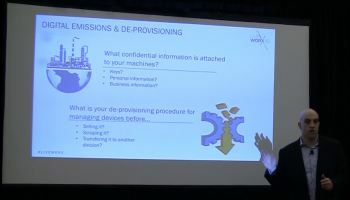 As the silicon designs inside the connected devices of the Internet of Things transition from specifications to tapeouts, electronics companies have come to the stark realization that software security is simply not adequate. Securing silicon is now a required, not optional, part of the silicon design processes.